History of the World Parts 1&2! 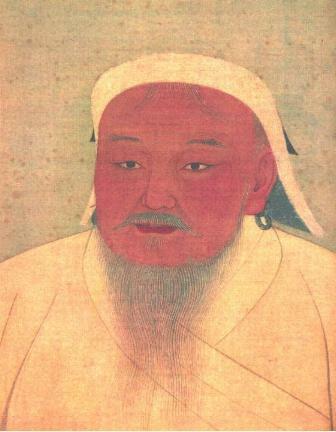 It is pronounced Chinggis Khan not Ghengis Khan. His real name is Temujin. After a hard struggle he was able to unite the tribes of the Monglian steppe and set out to conquer the surrounding territories. 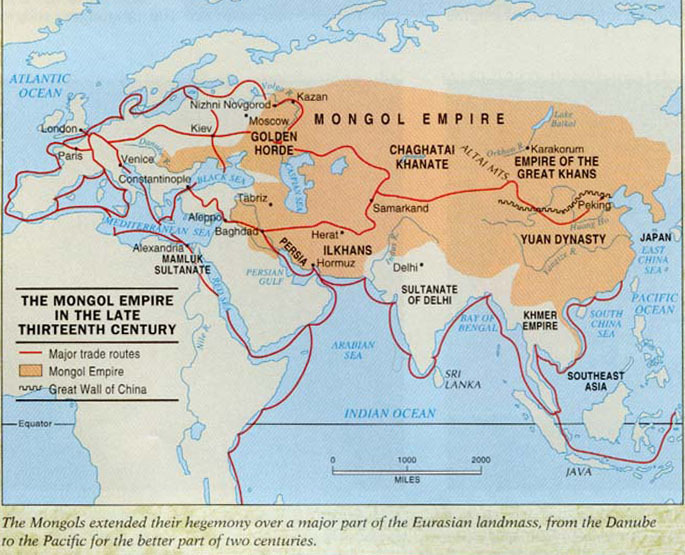 The Mongols created the largest contiguous land empire in the history of the world. Their brief period of rule(around 70 years) helped to bring east and west together. The brief period of stability helped to foster trade between China, the Middle East, and Europe.It also stimulated the exchange of ideas between these people. Also while the empire only held together for a brief period, many areas remained under Mongol rule long after the break up of the empire. This continued to help foster trade as movement between the Khanates was generally safer than before the arrival of the Mongols as world conquerors.